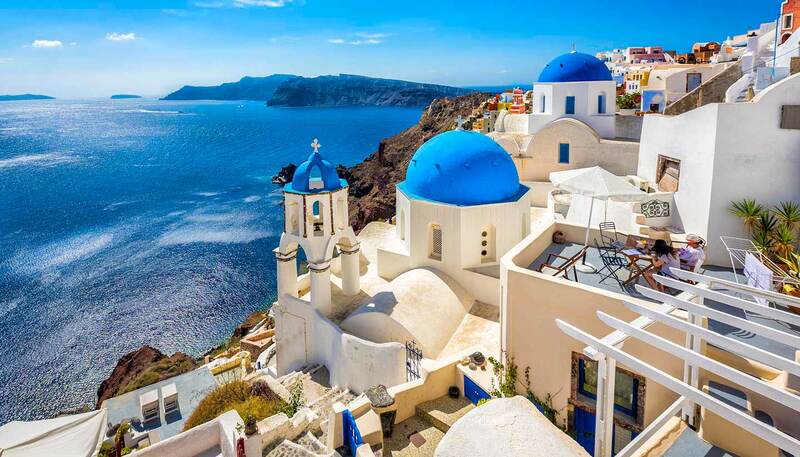 Greece has a warm Mediterranean climate. In summer, dry hot days are often relieved by stiff evening breezes, especially in the north, on the islands and in coastal areas. 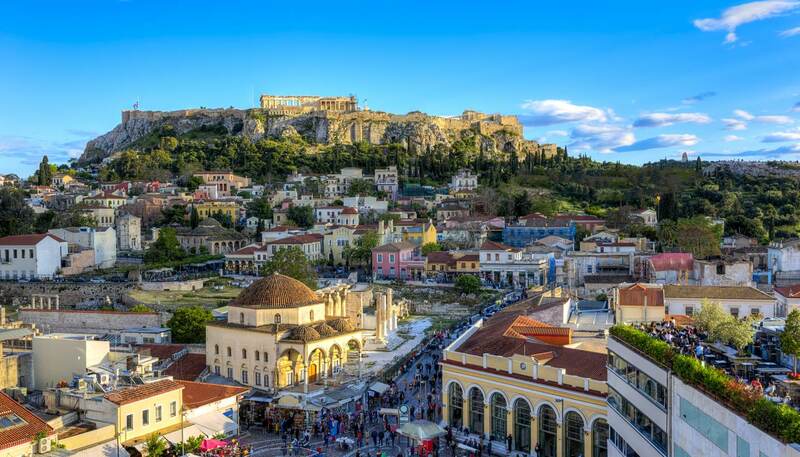 Athens can be stiflingly hot, with temperatures occasionally exceeding 40°C (104°F) in July. Winters are mild in the south but much colder in the mountainous north, where it is not uncommon to see snow and temperatures plummeting to well below zero. November to March is the rainy season, most notably on the Ionian islands. Greece is situated in southeast Europe, bordering Albania, Macedonia and Bulgaria to the north, Turkey to the east and the Mediterranean Sea to the south and west. The mainland consists of the following regions: Central Greece, Peloponnese, Thessaly, Epirus, Macedonia (which, incidentally, borders the country Republic of Macedonia, also known as the former Yugoslav Republic of Macedonia or FYR Macedonia) and Thrace. High mountains, fertile plains, pine forest and scrub-covered foothills are all found on the Greek mainland. The largest mountain range is the Pindus, which runs north-south through central mainland Greece, and separates the regions of Thessaly and Epirus. The highest mountain is Olympus, which soars 2,917m (9,570ft) - according to Ancient Greek mythology, this is where the 12 Olympian Gods resided. The islands account for one-fifth of the country's land area. The majority are thickly clustered in the Aegean between the Greek and Turkish coasts. The Ionian Islands are the exception; they are scattered along the west coast in the Ionian Sea, looking (both geographically and culturally) towards Italy. 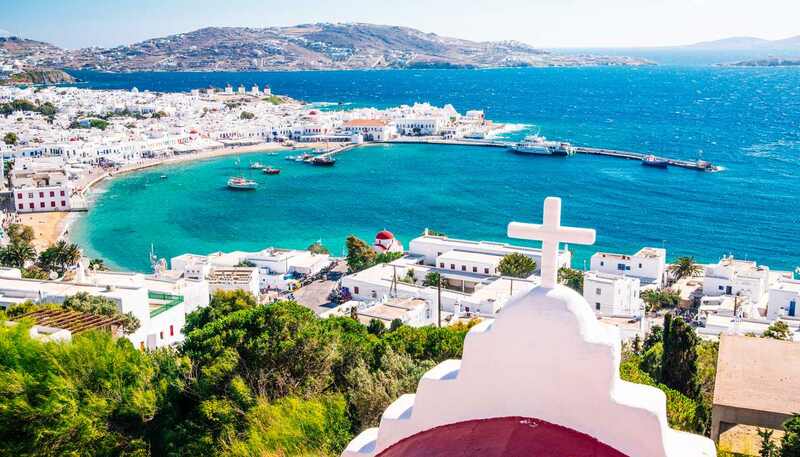 The Aegean archipelago includes the Dodecanese, lying off the Turkish coast, of which Rhodes is the best known; the northeast Aegean group, including Chios, Ikaria, Lemnos, Lesvos and Samos; the Sporades, off the central mainland; and the Cyclades, comprising 39 islands (of which only 24 are inhabited). Crete, the largest island (with an astounding 1,000km/621miles of coastline and a population of some 650,000), is not included in any formal grouping. Which Greek islands are for you?